belongs to that special group of teachers who bring fun and excitement into each class tailored for our young dancers. The twinkle in her eyes and the enthusiasm in her voice surely contribute to winning the love of the children. 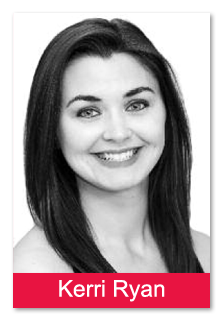 Trained in ballet, tap and jazz under Gerry Barney, Nicole Angelastro and Linda Polvere at our Dance Center, she earned a place in the Marcia Hyland Dance Company and teaching faculty. Kerri and her husband John are enjoying their four beautiful children: Ally (7), Chase (5), Drew (2), and Jack (10-months). Busy at home and busy with her other little “dancing treasures,” she looks forward to the excitement of costumes and putting on the “dancin’ shoes!” Recital week has finally arrived—and it’s time to perform!